Hey, Thanks for coming back. A couple of weeks ago I brought my first lip gloss in a very long time (I'm much more of a lipstick kinda girl) , and I was very pleased with it. I generally tend to find that glosses have a sticky and tacky texture to them and I HATE that!! 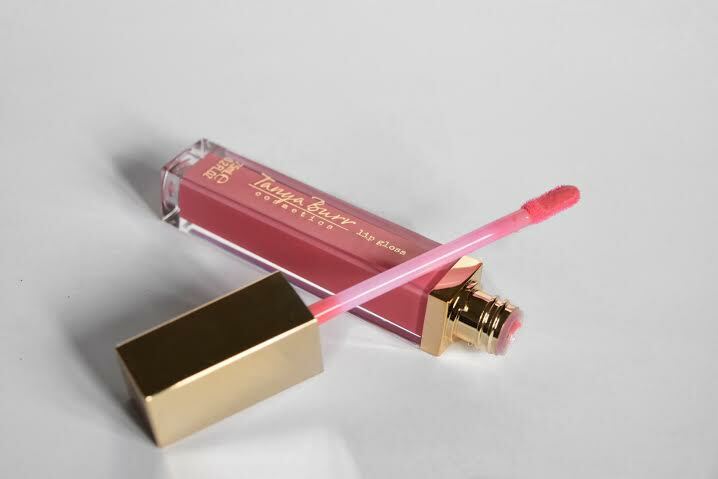 I've been meaning to try Tanya Burrs lip glosses for a while so off I went to Superdrug and brought one, the first one I purchased was "Picnic in the Park" This is a beautiful pinky colour. I fell so in love with this lip gloss It doesn't feel sticky in the slightest. The colour is a natural pink colour its nice when you want just a pop of colour that's not too in your face. It also smells amazing, like sweets. As you can probably tell I am awful at explaining things. But i'm trying. I know the area of lip gloss isn't my strong point, but I do feel that these lip glosses are amazing quality for there money, and there's such a wide range of colour to choose from which I think is great. There's colour for every body. Another thing that had put me off lip glosses was the applicators, I found they weren't the right shape. ( is that a petty thing thing to have put me off ? ) But Tanya Burrs lip glosses seem to be just right, they glide right across your lips with ease. I really like how pigmented the colours are, I cant speak for the rest only the two that I have, but the colour in the tube is the colour that you get on your lips. I don'f find that you have layer after layer just to get the coverage or colour that you want. The Packaging of these lip glosses is beautiful ( they would be even more amazing if they were Rose Gold, but you know I'm obsessed aha) It looks like it should cost a lot more than £5.99. So its great bargain in my opinion. I think next on my list is "Afternoon Tea"